Having given StarCraft the coveted number one spot on my all time favorite games list a while back, I think it's safe to say that I'm an unabashed fanboy. 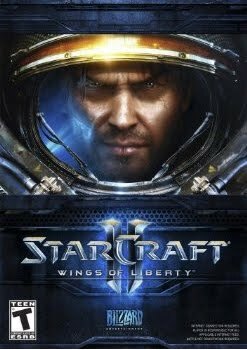 So it should come as no surprise that I found myself waiting in line at midnight this past Monday, eagerly awaiting my copy of the uber anticipated "StarCraft II: The Wings of Liberty." Continue the epic saga of the Protoss, Terran, and Zerg. 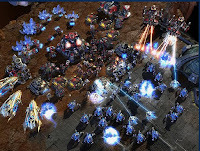 These three distinct and powerful races will clash once again in the fast-paced real-time strategy sequel to the original, StarCraft. Legions of veteran, upgraded, and new unit types will do battle across the galaxy, as each faction struggles for survival. Featuring a single-player campaign that picks up where StarCraft: Brood War left off, StarCraft II presents a cast of new heroes and familiar faces in a sci-fi story filled with adventure and intrigue. In addition, Blizzard offers online play through Battle.net with several enhancements and features to make StarCraft II even better. If you played the original, then you will instantly feel comfortable with the new game. Blizzard is smart enough to know that when something isn't broken, there's no need to fix it. The play controls and general layout are familiar and work like a champ. What Blizzard has done is taken an already great game and made improvements throughout. For those not in the know, the original StarCraft was a 2D isometric game. The sequel has gorgeous, lush 3D graphics and a scalable camera. New units abound and advancements to original units make for one happy gamer. One nice addition is the ship that serves as your home between missions. You're able to purchase mercs, upgrade units and research new tech. If I have one minor quibble with the game, it's with the Campaign missions. Too many missions require you to complete an objective in a set time or you fail. While fun and filled with tension, there's just too many of them. One other minor complaint is the need to log on to the battle.net servers just to play the single player side of the game. Overall, the game brings back warm memories of StarCraft while giving the franchise legs for years to come. If you're a fan of RTS (real-time strategy) then this one is a no-brainer. Run out and buy it today. And almost forgot! 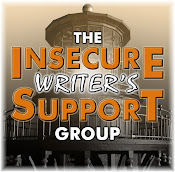 I'm a guest at Mithril Wisdom today! I have steered clear of this game but if a die hard Diablo person reccommends it, I am there! I haven't played a game like this in years. After reading your review it makes it want to take it up again. Sounds like fun. I'll recommend it to the gamers in my life! I used to love Warcraft (not World of) and Starcraft when I was a teenager. Now that I'm old and game in the living room on a big TV I can't stand RTS. I'm not sure why but I guess it doesn't feel as immersive. Also I thought Blizzard was working on like a RPG adventure game where you played as a female ghost. What happened to that? Anyway great review, thanks Alex. Another great write up which I enjoyed. Hope your competition is going well. Your early morning can start anytime of the day as there's always beauty of some sort around you. I don't play online games, but am interested in them since my son is getting a degree in game design. I am so excited about SC2, but I can't bring myself to spend that much money on a game. 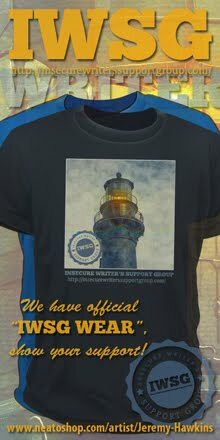 I'll have to wait a couple months to purchase, but I definitely want it. Maybe I'll check Steam, not sure if they have Blizzard's stuff available there. I like to read about gam reviews, even though we don't have a player to play them on. Oh, my kids have a DS. But I guess that doesn't count. Still waiiting to buy that Wii though. I don't play video games very often, but I used to as a kid. I'm hearing so much about this one these days. They're really addictive, aren't they? OH OH. I think Alex may be addicted here. Am I right? Do I need to end someone to help you? Cool game review. I don't get much time to play many games but I love these types. And I am a diehard Diablo fan, Gail! Matthew, Starcraft: Ghost was scrapped a few years back. It was originally designed only as a console game, too. Helen, a scalable camera means you can zoom in and out of the action. Mesmerix, I balk at most prices, but I wasn't waiting for this game. Betty, no intervention yet! I've Zerg to kill. No one in my house has ever really gotten involved with video games. When the kids were younger we played Crash Bandicoot a bit and my son played Madden Football for a couple of years, but that's about it. I think it is safe to say I did not understand a single word of what you just said. I can't play computer games ... I become addicted immediately. Jemi, you're just missing out on an addiction. Yes, Talli - Hot Tamales! When it comes to this kind of game, "jlHtaHbogh naDev vlSovbe'". But you make it sound like fun! I'm really trying to like Starcraft II but there are just a few things that I can't get over. The first is the fact that most of the units are the same from the original. Having a few similar units is good, but when I pick up a sequel I expect a revamped techtree, but expect things to have the same feel. The other is the fact they only included one campaign in the game. When I get an RTS I expect to be able to play the campaign for all of the factions, not just one and have to fork out another 40 bucks twice over to play what in my mind should've been included in the original release. I may buy it when they release all 3 in a cheap package like they usually do, but not before. Sounds like an interesting game but I'm not a huge fan of RTS. I like to have more time to think about things. Nice. Heading over to your guest post. The addiction is too much. I guess, the only way to end all of it is by getting rid of the enemy. Never heard of the game, is that bad? Bryan - There are a slew of new units among the three factions. And the original units get cool, new upgrades as well. The techtree has some great upgrades (miniguns on bunkers, self extracting vespene factory). Yes, you only get to play the terran campaign (they want your money for years to come) but the campaign is 26-30 missions (I believe the original SC had 30 missions), so you get a complete game. Plus, you can play all 3 factions in the multiplayer portion. Mr Stupid, it is a great game! Powdered, it's not the end of the world, but you can see it from there. Thanks Alex. I was thinking "scalable" had something to do with climbing. Bryan, get that gaming computer fixed and you'll feel better! Glad to know you enjoyed it. The hubby loves Evony, but that's about it for his online adventures. As one who was once addicted to the old PC versions of Digger and then Minesweeper, I know I dare not get involved with any other games of any kind. These sound like so much fun (said longingly), but I must resist.